By receiving natural gas service from Georgia Natural Gas (GNG), you, the customer, agree to be bound by the terms and conditions as set forth in this Terms and Conditions of Service and Disclosure Statement, effective February 1, 2019 including provisions regarding Binding Arbitration (see Section IV). Atlanta Gas Light Company (AGLC): the utility regulated by the PSC. AGLC distributes natural gas on behalf of GNG and other marketers, maintains the gas pipeline system, and responds to gas leaks and other emergencies. Commercial customer: a customer receiving gas service at a premises with commercial service as defined in AGLC’s tariff on file with the PSC. Georgia Natural Gas (GNG): a natural gas marketing company. GNG buys gas from energy producers and marketers and in turn sells that gas to customers. Pre-payment price plan: A type of GNG price plan under which customers are billed in advance for their estimated charges for the following month. Pre-payment price plans have specific terms and conditions of gas service in addition to these Terms and Conditions of Service. PSC: Georgia Public Service Commission. Residential customer or consumer: a customer receiving gas service at a premises at which natural gas is consumed primarily for personal, family or household use. Service period: The time period for which you are receiving gas service and is determined by your prior meter reading date and current meter reading date. A standard service period is 27 to 33 days. T&Cs: Georgia Natural Gas Terms and Conditions of Service, Disclosure Statement and Supplemental Disclosure Statement. Warranty Service – If applicable, home warranty services provided by a third party Warranty Service provider that may be included on the GNG bill. These T&Cs govern your relationship with GNG. If you enroll in Warranty Service, charges for Warranty Service may be included on your GNG bill. There are certain provisions in these T&Cs that explicitly apply to the billing of such Warranty Charges. Except for the provisions specifically noted herein for Warranty Service and arbitration of disputes with GNG, the terms and conditions governing Warranty Service are set forth in separate terms and conditions provided by the Warranty Service provider. AGLC Base Charge The AGLC Base Charge is a regulated charge from the utility (AGLC) that is billed through each gas marketer. GNG bills a full base charge regardless of the number of days of service. GNG Customer Service Charge A charge related to GNG’s cost of maintaining and servicing your gas account. This charge may vary based on your price plan, as well as credit criteria and your payment history. GNG assesses a full customer service charge for each service period regardless of the number of days of gas service. GNG Signature Service Charge A charge incurred if a customer enters into an agreement to receive special ancillary gas services not generally included as part of GNG’s price plan offerings. Depending upon the signature service selected, the charge may be one-time or recurring, and it may be either a flat fee or usage-based. Because GNG may offer several signature gas services, the Signature Service Charge will be listed on the bill by its specific name. Gas Charge The charge for gas used during the service period. The gas charge can vary based on the quantity of gas used and the price per therm for the service period. Interstate Pipeline Capacity Charge (if applicable) A charge that is equal to a transportation charge multiplied by the Dedicated Design Day Capacity (DDDC) for the customer’s premises. GNG bills a full interstate pipeline capacity charge for each service period regardless of the number of days of service. Flat Bill Charge This charge includes your AGLC Base Charge, GNG Customer Service Charge, Gas Charge and Interstate Pipeline Capacity Charge (if applicable). The Flat Bill Charge will appear on your bill with the specific name of your flat bill plan (for example, Guaranteed Bill™). Late Charge:If your account for gas service becomes past due by $30 or more, you will be billed a Late Charge of 1.5% of the unpaid amount, with a minimum charge of $10, to offset GNG’s additional costs. Fixed Rate Early Termination Charge: Your account will be assessed an early termination charge if you breach a fixed price agreement with GNG. (See Section III-1.) This charge is intended to compensate GNG for losses and expenses it estimates it will incur as the result of the early termination of a customer’s fixed price plan. Flat Bill Early Termination Charge: Your account will be assessed an early termination charge if you breach a flat bill plan agreement with GNG. (See Section III-1.) This charge is intended to compensate GNG for losses and expenses it estimates it will incur as the result of the early termination of a customer’s flat bill plan. Connection Charge:If you are establishing new gas service at a premises or reestablishing gas service that has been involuntarily disconnected for more than 10 days, you will be assessed a $60 Connection Charge. This charge does not apply to customers who are switching to GNG at their current premise. (See III-11.) If your gas service is voluntarily disconnected and reconnected at a single location within a 12-month period, you will be assessed a $50 Connection Charge. (See Section III-9.) $25 of these connection charges is a pass-through from AGLC. Reconnection Charge: If you are reestablishing gas service at the same premises that has been involuntarily disconnected for less than 10 days, you will be assessed a $60 Reconnection Charge, of which $25 is a pass-through from AGLC. Meter Set Charge: If you are the first occupant of a premises after a meter is installed, you will be assessed a $60 Meter Set Charge, of which $50 is a pass-through charge from AGLC. Warranty Charge: These are charges incurred for all Warranty Services as specifically agreed to by you in your Warranty Service provider terms and conditions. The Warranty Charge will appear on your bill with the name of your Warranty Service provider. If you enroll in Warranty Service, charges for Warranty Service may be included on your GNG bill. There are certain provisions in these T&Cs that explicitly apply to the billing of such Warranty Charges. Except for the provisions specifically noted herein for Warranty Service and the arbitration of disputes with GNG, the terms and conditions governing Warranty Service are set forth in separate terms and conditions provided by the Warranty Service provider. A. Taxes: You are responsible for all applicable federal, state, and local taxes and charges. If you are a tax-exempt entity, it is your responsibility to provide GNG and your Warranty Service provider, as applicable, with the necessary exemption certificate. B. Late Charge: You will be assessed a nonrefundable charge for any payment to your account that is not accepted for its full amount, including returned payments associated with a bank draft payment. At our option, we will assess this charge the first time your check or payment is not accepted, even if it is honored upon resubmission. Note: All charges (other than Warranty Charges, which are governed by your terms and conditions with your Warranty Service provider) described in Section I of this statement are current as of the effective date of these T&Cs and are subject to change upon 30-days’ notice. For fixed price or flat bill plan agreements, also see Section III-1. If you have questions regarding any charges other than Warranty Charges that may apply to your account, please visit our website at gng.com or contact our Customer Care Center. (The contact information is provided in Section V.) If you have questions regarding your Warranty Charges, please contact GNG. If you receive a bill that contains gas service charges that were initially billed incorrectly or were previously unbilled, you are entitled to an extended payment arrangement on gas service charges of not less than 90 days. If you qualify for a payment arrangement, you will not be assessed Late Charges as long as you remain current with your payments. To determine if you qualify, you must contact GNG’s Customer Care Center. Gas Service Charges - A. If you believe the gas service charges on your bill are incorrect or you need more information, contact us using any of the options provided in Section V. Please provide your service address and GNG account number. In order to avoid Late Charges or disconnection, you must contact us by the due date on your bill. Although you are not responsible for paying any disputed amount relating to your gas service, while we are investigating your dispute, you are still obligated to pay the portion of your bill that is not in dispute by the stated due date. If you do not pay this portion with respect to gas service by the stated due date, you may be assessed a Late Charge, and your gas service may be subject to termination. Also see Section IV regarding Binding Arbitration of Disputes. Warranty Charges - Your gas service will not be disconnected for non-payment of your Warranty Charges. If you believe the Warranty Charges on your bill are incorrect, please see the terms and conditions of your Warranty Service for more information. Your bill will specify all past due amounts and balances brought forward. These amounts may combine all of your past due charges and balances, including Warranty Charges. Your payments to GNG will first be applied in priority to satisfy all outstanding gas service charges prior to application to any Warranty Charges, even if Warranty Charges are past due. Credits and refunds related to Warranty Service will apply first to Warranty Charges and then to any remaining gas service charges. Credits and refunds related to gas service will apply first to gas service charges and then to any remaining Warranty Service charges. AGLC maintains and reads your meter and submits to GNG either an actual meter reading or an estimated reading. One of the following meter reading types will be displayed on your bill each month: actual, estimated or no reading. Unauthorized tampering with the meter or reconnecting natural gas service is extremely dangerous and violates federal safety regulations and state laws. Persons who reconnect their gas service may be subject to criminal prosecution. GNG’s price plans fall into three categories: variable price, fixed price and flat bill. GNG may offer some price plans on a pre-payment basis. The terms and conditions of service for pre-payment price plans or other price plans may differ from or supplement those set forth in this statement. The specific terms and conditions for pre-payment and other price plans are set forth in the Supplemental Disclosure Statement, which governs in the event of a conflict with these terms and conditions. The name of your price plan for the most recent service period will be shown on your bill each month. Variable Price Plan: Under a variable price plan, gas usage is billed at a price per therm that may change or may remain the same monthly. The price per therm may include interstate pipeline capacity costs. Many factors influence retail natural gas pricing, including wholesale gas costs, weather, market conditions and other factors. The price per therm used to calculate your Gas Charge is GNG’s price in effect on the first day your meter is read by AGLC. Your gas service will be billed under this plan on a month-to-month basis. You may switch to another price plan for which you qualify at no additional charge. The per-therm price on a variable price plan may be higher than on a fixed price plan. Fixed Price Plan: Under a fixed price plan, gas usage is billed at a fixed price per therm for the term of your agreement. Although GNG’s currently available fixed prices may change at any time, the price used to calculate your Gas Charge for the full term of your agreement will be GNG’s price in effect at the time you select the plan. Your fixed price will remain in effect for each service period that begins during the term of your agreement. The price per therm, GNG Customer Service Charge and the transportation charge used to calculate the Interstate Pipeline Capacity Charge (if applicable) for customers on a fixed price plan will not change for the term of your agreement. Any other charges under a fixed price plan are subject to change upon 30 days’ written notice. The per-therm price on a fixed price plan may be higher or lower than on a variable price plan. When you select a fixed price plan, you commit to remain on the plan for the specified period of time, even if you move within the AGLC service territory. Flat Bill Plan:Under a flat bill plan, your Flat Bill Charge will be a set amount for each standard service period during the term of the agreement. A standard service period is 27-33 days. In some instances, there could be a non- standard service period – for example, while establishing or terminating service with GNG. In the event you experience a service period that is longer or shorter than a standard service period, your Flat Bill Charge will be prorated. This prorated amount will be calculated by dividing your monthly Flat Bill Charge by 30 days, and multiplying that number by the number of days in the applicable service period. The Flat Bill Charge is based, in part, upon the historical gas usage at your premises, and assumes a normal weather pattern for each year. The Flat Bill Charge includes your AGLC Base Charge, GNG Customer Service Charge, Gas Charge and Interstate Pipeline Capacity Charge (if applicable). This standard unit price does not include state and local taxes, Warranty Charges, or one-time charges such as connection or late charges. Although Flat Bill Charges may vary based on premises, credit criteria, payment history, market conditions, wholesale gas costs and other factors, your Flat Bill Charge amount will remain the same for each service period that begins during the term of your agreement. Flat bill plan agreements are not transferrable between customers or premises. The total bill amount on a flat bill plan may be higher or lower than the total bill amount on a variable price or fixed price plan. The flat bill plan is intended to protect the customer from fluctuations in weather based on historical gas usage at the premises, but it is not intended to cover non-weather related increases in consumption, such as increased use associated with room additions, pool heaters or a customer’s significantly altered gas consumption. GNG reserves the right to terminate your agreement as a result of non-weather related increases in consumption as further specified in the plan specific Supplemental Disclosure Statement or confirmation notice. If this occurs you will automatically be enrolled on GNG’s standard variable price plan. GNG reserves the right to limit the availability of a flat bill plan at its sole discretion based on a number of factors, including but not limited to credit criteria, payment history, consumption history and age of premises. If you are a residential customer, GNG will notify you at least two times prior to the expiration of your fixed price or flat bill plan. When your fixed price or flat bill plan is about to expire, you may request a new GNG plan without incurring an early termination charge by notifying us within 45 days of the expiration date. 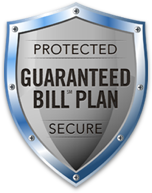 If you are a commercial customer, GNG will notify you at least one time prior to the expiration of your fixed price or flat bill plan. Commercial customers may request a new GNG plan without incurring an early termination charge within 15 days of their current plan’s expiration date. For both residential and commercial customers, if you take no action, you will automatically be enrolled after expiration of the fixed price or flat bill plan on GNG’s standard variable price plan, unless otherwise specified in the plan specific Supplemental Disclosure Statement or confirmation notice. If you are enrolled after expiration on GNG’s standard variable price plan, your price per therm will be GNG’s current standard variable price. You also have the right to select another marketer. If you request and qualify for a different price plan, you will lock in GNG’s then current price or Flat Bill charge amount for your premises, which may differ from your previous pricing. If you change your natural gas provider at your current premises. If your gas service is disconnected for nonpayment and is not reconnected within 10 days. If you voluntarily disconnect gas service during the term of your agreement, including moving to a different premises, and not continuing your agreement with GNG. If you are a low-income consumer who is seeking gas service for the first time from the regulated provider. If you discontinue service because you are called to active military duty. If service is discontinued due to the death of the account holder. If you move outside of AGLC’s service territory. If you are active on GNG’s Seasonal Savings Program. If you switch to a GNG flat bill plan. If GNG has notified you of other waiver circumstances. In order to have the early termination charge waived for numbers 1-4 above, you must notify GNG when any of the specified exceptions apply. The early termination charge is intended to compensate GNG for losses and expenses it estimates it will incur as the result of the early termination of a customer’s fixed price plan. Your specific early termination charge may vary depending on the time of year in which you enroll and the remaining term of your agreement at the time of termination and will be disclosed in the Supplemental Disclosure Statement or confirmation letter. GNG reserves the right to deny service, limit availability of price plans or gas services, or change a customer’s price plan or gas services based on delinquent payment history, failure to meet credit requirements, disconnection for non-payment, other specific plan requirements, or based on a continuous service agreement with a landlord. In some cases GNG may require a written contract for certain plans. Consumers who are 65 years of age or older and who meet certain income qualifications are eligible for a PSC-approved reduction in their monthly AGLC Base Charge. For consumers on a flat bill plan for gas service, the Flat Bill Charge will be reduced accordingly. Consumers who qualify for the AGLC discount may receive a special per-therm discount from GNG. Visit our Web site, gng.com, or call our Customer Care Center for more information. These T&Cs apply to customers without individual written gas contracts and constitute the contract terms between you and GNG. Individual written contract provisions may differ from these T&Cs, in which event the written contract provisions will govern. Pursuant to PSC Rules, a consumer is allowed to cancel any written gas contract without penalty within three days of signing it. If your landlord enters into a continuous service agreement with GNG and has authority to select a natural gas provider on your behalf, you will initially be enrolled on GNG&apos;s current standard variable price plan or another GNG variable price plan for which you qualify. GNG’s Budget Billing Plan establishes a budgeted monthly payment based on your estimated cost of gas service over 12 service periods. Unlike a flat bill plan, with the Budget Billing Plan, GNG periodically calculates the difference between the total budgeted amount billed and your actual charges for that period. This difference, or variance, is then used to calculate your new monthly payment for the next budget period. If you have a past due balance on gas service, you may not sign up for budget billing. Your monthly budget amount does not include additional charges, such as Late Charges or Warranty Charges. If you wish to terminate your budget plan, the budget plan will be canceled and the full amount of the variance will appear on your next bill. If you do not pay your monthly budget plan payments as required by the plan, your gas service is subject to disconnection. Note: Credit variances cannot be used to offset your current amount due. To receive a refund for a credit variance, you must no longer be on the budget plan. Upon customer request, GNG will process the refund in six to eight weeks. Once your budget plan is canceled, you cannot go back on the Budget Billing Plan until you pay your total balance in full. GNG reserves the right to limit availability of its Budget Billing Plan and to periodically review and adjust budget billing amounts. You may be required to terminate your Budget Billing Plan if you decide to enter into an alternative payment arrangement with GNG. Electronically at GNG’s website, or GNG’s mobile payment application, GNG’s Pay By Text, or through your banking institution, if applicable. Via the mail by check or money order. Automatically via GNG’s bank draft or recurring credit card program. Via Payment Stations using cash, check or money order. Please refer to gng.com or call us at 770-850-6200 or 1-877-850-6200 for more detailed information on payment options. GNG reserves the right to add, change, limit or terminate payment options at any time. Following any termination of service, you remain fully liable for all outstanding balances billed by GNG and such obligation shall survive the termination of service. Before consumers establish or reestablish gas service on some price plans, GNG may require that a deposit of up to $150 be paid based on credit criteria and/or payment history. Commercial customers may be charged a higher deposit. In addition, GNG reserves the right to periodically assess deposits to existing customers if they do not meet credit requirements. The service deposit requirement applies solely to gas service charges. If you are required to pay a deposit for gas service, you are not eligible to be billed by GNG for Warranty Services. If you are a residential customer and your account remains in good standing for six consecutive months, your deposit, plus accrued interest if applicable, will be refunded by applying a credit to your account. If your account remains active and you have a credit balance after the deposit is applied, upon request we will send you a check for the amount of the credit balance. (Deposits refunded prior to six months do not accrue interest.) If you have paid a deposit and have moved out of the service area or have switched marketers, your deposit will be applied to your final bill. In the event your deposit exceeds your final balance by $1.00 or more, you will receive a check for the difference between the deposit amount and your final bill via the mail within 60 days of your final bill. You are responsible for providing GNG with a current mailing address to ensure the check is delivered to the correct address. A customer&apos;s credit balance on an inactive account will be applied first to all outstanding gas service and Warranty Service balances with GNG, and any remaining credit balance will then be refunded or applied to your account as described below. Refunds for inactive accounts with credit balances greater than $1.00 will be processed and mailed to you within 60 days after termination of service. Regardless of your preferred method of communication, if you move or otherwise terminate gas service, you must give GNG at least 10 business days’ advance notice by phone. When you call, you will be given a confirmation number that should be saved and used in subsequent communications regarding the termination of gas service. To resolve any future disputes regarding service termination dates, a confirmation number is required. If you wish, after you make the required phone call, you may submit a written request for termination to the GNG correspondence address in Section V or notify us via e-mail at customerservice@gng.com . Note: GNG is not responsible for written or electronic correspondence sent to the wrong address. If you fail to notify GNG regarding termination of gas service, gas service will continue until such notice is received. You will be responsible for paying all charges until the time of termination. Note: See Section III-1.C. for more information regarding eligibility for price plans and services. Note: GNG is not responsible for delays in connections and reconnections of service by AGLC. If your service is not disconnected or reconnected by AGLC within the time period communicated to you by GNG, you must notify GNG by calling our Customer Care Center. Telephone numbers are listed in Section V. You are responsible for paying all charges for as long as you receive gas service. Note: GNG reserves the right to transfer delinquent balances from your inactive account to your active account. If your gas service charges become past due, you will be assessed a Late Charge. If you have received a disconnect notice, as soon as you make your payment please call GNG&apos;s Customer Care Center with your receipt number. (Telephone numbers are listed in Section V.) If GNG does not receive payment by the due date on that notice, we will discontinue gas service to your premises. (For exceptions, see Section III-10-B.) If your gas service is shut off for nonpayment, you will be required to pay all past due gas service charge amounts, a Reconnection Charge of $60, and a service deposit of up to $150 before gas service with GNG is restored. In addition, you may be restricted to a price plan with higher gas service charges and your future eligibility for gas service price plans may be limited. In order to have your gas service reconnected, you must meet GNG’s credit requirements, and you must call for reconnection within 10 days after your disconnection date. After that 10-day period, your service request will be treated as a new service establishment with GNG. (See Section III-8.) GNG is not responsible for delays in connections and reconnections of service by AGLC. If your service is not connected or reconnected by AGLC within the time period communicated to you by GNG, you must notify GNG by calling our Customer Care Center. Telephone numbers are listed in Section V. You are responsible for paying all charges for as long as you receive gas service. Your gas service will not be disconnected for nonpayment of warranty charges. If you are disconnected from gas service and reconnected with a deposit, you will no longer be billed by GNG for Warranty Services. In this situation, your billing will be handled pursuant to the terms and conditions provided by your Warranty Service provider. Restrictions due to Illness (Residential Only) Gas service shall not be discontinued for nonpayment of a bill to a residential consumer who has a serious illness which would be aggravated by said discontinuance, provided that the consumer notifies GNG of this condition in writing, or orally with written notice within ten (10) days thereafter, and within ten (10) days of giving such initial notice furnishes to GNG a written statement from a physician, county board of health, hospital, or clinic identifying the illness, its expected duration, and certifying that the illness would be aggravated by such discontinuance. In such event, the proposed disconnection shall be held in abeyance for the shorter of either the length of the illness or one month from the date of such initial notice, and the consumer may renew the postponement period one additional time by repeating the aforementioned procedure. If there is a dispute regarding the existence of a serious illness, the case may be referred to the Commission for a final determination. Seasonal Restrictions (Residential Only) During the period from November 15 through March 15, we will not disconnect gas service for past due gas service charge amounts if you do the following: (a.) Agree in writing to pay the past due balance for your gas service charge amounts, including customer charges, in equal installments for a maximum duration beginning with the first billing period after March 15 and concluding prior to the following October 15. (b.) Agree in writing to pay all bills for your gas service charge amounts by their due date for current service received after said agreement. If you do not comply with those agreements and your account becomes delinquent, the gas service disconnection process will resume. If you desire to enter into a written agreement as set forth above, you must contact GNG prior to disconnection by calling 1-888-807-1297. Warranty Charge Restriction Your gas service will not be disconnected for nonpayment of Warranty Charges. The consequences of nonpayment of Warranty Charges are set out in the separate terms and conditions provided by your Warranty Service provider. If you contact GNG before the 15th of the month and ask to be switched to GNG, your gas service should be switched by the beginning of the following month. If you contact GNG on or after the 15th of the month and ask to be switched to GNG, your gas service may not be switched until the second month following your request. You should receive your first GNG bill within 30 days after the switch becomes effective. Whenever you switch to a new marketer, AGLC and your new marketer will process your marketer switch order. GNG is not responsible for delays in switching your gas service to and from another marketer. You are responsible for all charges incurred until the effective date of your switch to the new marketer. If you are receiving Warranty Services and switch marketers, GNG will no longer bill you for Warranty Services. In this situation, your billing will be handled pursuant to the terms and conditions provided by your Warranty Service provider. We reserve the right to change our T&Cs at any time. We will notify you of any changes by written notice in your bill or in a separate notification. For fixed price or flat bill agreements, see Section III-1. If an event occurs that delays or makes it impossible for GNG to perform, such as an act of God, extraordinary weather occurrence, a facility outage on the AGLC or interstate pipeline systems, an AGLC failure to perform, war, civil disturbance, or national emergency, our performance under these T&Cs shall be excused for the duration of such event. Under such conditions, GNG may elect to discontinue gas service immediately, without notice. GNG is not responsible for any losses or damages resulting from any actions/policies associated with your Warranty Service provider, with AGLC or with the interstate pipeline systems, including interruption of service, termination of service, defective service, or operation and maintenance of AGLC’s system or the interstate pipeline systems. Unless specifically authorized by the Natural Gas Competition and Deregulation Act, GNG is not liable for consequential, exemplary or punitive damages. Telephone calls to our Customer Care Center will be recorded and may be monitored for quality assurance purposes. All calls for new service are recorded in compliance with PSC guidelines. If you have a Dispute (as defined below) with GNG that cannot be resolved informally, you and GNG must arbitrate that Dispute in accordance with the terms of this Section IV (the “Arbitration Provision”) instead of litigating the Dispute in court, except for small claims as provided below. Arbitration means that you will have a fair hearing before a neutral, independent arbitrator instead of in a court by a judge or jury. The decision of the arbitrator will be final and binding. Nothing in this Arbitration Provision affects your right to file a complaint with the Georgia Public Service Commission (“PSC”) regarding GNG’s gas service or charges. If you have a dispute with your Warranty Service provider, including disputes related to Warranty Services, the terms and conditions provided by your Warranty Service provider shall govern any such dispute. BY ACCEPTING SERVICE FROM GNG YOU HAVE AGREED TO RESOLVE ALL DISPUTES (EXCEPT FOR THE PSC AND SMALL CLAIMS AS PROVIDED BELOW) THROUGH BINDING ARBITRATION BY THE AMERICAN ARBITRATION ASSOCIATION AND YOU HAVE WAIVED THE RIGHT TO A TRIAL BY JURY AND TO FILE OR PARTICIPATE IN A CLASS ACTION. As used in this Arbitration Provision, the term “Dispute” means any dispute, claim, or controversy between you and GNG regarding any aspect of your relationship with GNG, including but not limited to gas service provided by GNG, that has arisen or that may arise in the future, whether based in contract, statute, regulation, ordinance, tort (including, but not limited to, fraud, misrepresentation, fraudulent inducement, negligence, or any other intentional tort), or any other legal or equitable theory. The term “Dispute” includes claims that are currently the subject of pending litigation, including claims that are currently the subject of purported class action litigation in which you are, or are not, a member of a putative or certified class. The term “Dispute” also includes any dispute regarding whether a particular controversy is subject to arbitration, including any claim as to the enforceability of this Arbitration Provision. “Dispute” is to be given the broadest possible meaning that will be enforced. As used in this Arbitration Provision, “GNG” means SouthStar Energy Services LLC and its officers, directors, employees, members, affiliates and agents and any other party that you may contend is jointly or severally liable with any of the foregoing parties, provided, however, that if your Warranty Service provider is an affiliate of GNG, the terms and conditions provided by your Warranty Service provider shall govern all disputes with that provider. Most customer concerns can be resolved quickly and informally. If you have a complaint or a Dispute with GNG you can call our Customer Care Center at 770-850-6200 (inside metro Atlanta) or 1-877-850-6200 (outside metro Atlanta), or write to us at P.O. Box 440667, Kennesaw, Georgia 30160-9512, or email us at customerservice@gng.com. Please provide your service address and GNG account number. If you are unable to resolve the issue to your satisfaction, you may also contact the Georgia Public Service Commission. In the unlikely event that GNG or the PSC are unable to resolve a complaint or Dispute to your satisfaction (or if GNG has not been able to resolve a Dispute it has with you after attempting to do so informally), we each agree to resolve all Disputes through binding arbitration by the American Arbitration Association (“AAA”) or, if it is a claim for $15,000 or less, in Magistrate Court. Any arbitration or Magistrate Court action will be on an individual basis only; class arbitrations and class actions are not permitted (see Section IV-6). (a) Notice of Dispute A party who intends to seek arbitration (whether they have tried to resolve the Dispute informally or not) must first send to the other, by certified mail, a written Notice of Dispute (“Notice”). The Notice to GNG should be addressed to: Georgia Natural Gas c/o Rogers & Hardin LLP, 2700 International Tower, Peachtree Center, 229 Peachtree Street, N.E., Atlanta, Georgia 30303-1601 (“Notice Address”). The Notice must (a) describe the nature and basis of the claim or Dispute; and (b) set forth the specific relief sought (“Demand”). If GNG and you do not reach an agreement to resolve the Dispute within 30 days after the Notice is received, you or GNG may commence an arbitration proceeding. For commercial customers, the arbitration will be governed by the AAA Commercial Arbitration Rules, except as modified by these T&Cs. For consumers the arbitration will be governed by the AAA Consumer Arbitration Rules, except as modified by these T&Cs. During the arbitration, the amount of any settlement offer made by GNG or by you shall not be disclosed to the arbitrator until after the arbitrator determines the amount, if any, to which you or GNG is entitled. The Notice form is available on GNG’s website (gng.com) or by calling 770-850-6200 (inside metro Atlanta) or 1-877-850-6200 (outside metro Atlanta). (b) Commencement of Arbitration You may initiate arbitration by filing a Claim Form with the AAA and by sending a copy of the Claim Form to GNG at the address set forth in Section IV-4(a) above. The form is available on the AAA website (www.adr.org), on GNG’s website (gng.com) or by calling 770-850-6200 (inside metro Atlanta) or 1-877-850-6200 (outside metro Atlanta). You can complete the Claim Form on the AAA website or you can mail the Claim Form to AAA Case Filing Services, 1101 Laurel Oak Road, Suite 100, Voorhees, New Jersey 08403, with a copy to GNG. You do not need to send payment to the AAA. Upon receipt of the Claim Form, GNG will pay the required Arbitration filing fee. This agreement evidences a transaction in interstate commerce, and thus the Federal Arbitration Act (“FAA”), not state arbitration law, will govern the interpretation and enforcement of this Arbitration Provision as well as the arbitrability of all Disputes. However, applicable federal law or Georgia law may apply to and govern the substance of any Disputes. Any state statutes pertaining to arbitration shall not be applicable under this Arbitration Provision. If there is a conflict between this Arbitration Provision and the applicable AAA rules, this Arbitration Provision shall govern. If the AAA will not enforce this Arbitration Provision as written, it cannot serve as the arbitration organization to resolve your dispute with GNG. If this situation arises, the parties shall agree on a substitute arbitration organization. If the parties are unable to agree, the parties shall mutually petition a court of appropriate jurisdiction to appoint an arbitration organization that will enforce this Arbitration Provision as written. GNG will bear the costs and attorneys’ fees associated with such a petition. If there is a conflict between this Arbitration Provision and the rest of these T&Cs, this Arbitration Provision shall govern. ALL PARTIES TO THE ARBITRATION MUST BE INDIVIDUALLY NAMED. THERE SHALL BE NO RIGHT OR AUTHORITY FOR ANY CLAIMS TO BE ARBITRATED OR LITIGATED ON A CLASS ACTION OR CONSOLIDATED BASIS OR ON BASES INVOLVING CLAIMS BROUGHT IN A PURPORTED REPRESENTATIVE CAPACITY ON BEHALF OF THE GENERAL PUBLIC (SUCH AS A PRIVATE ATTORNEY GENERAL), OTHER RECIPIENTS OF GAS SERVICES FROM GNG, OR OTHER PERSONS SIMILARLY SITUATED. YOU ALSO AGREE NOT TO PARTICIPATE AS A CLASS MEMBER IN ANY SUCH PROCEEDING. If the amount of the claim is $25,000 or less you may choose whether the arbitration takes place in person, by telephone or on written submissions. If the amount of the claim is more than $25,000 the type of hearing shall be determined by the AAA rules. If an in-person hearing is to be held and the parties do not agree on the location then the hearing will take place in the county where you are billed. The applicable procedures, including the location of a hearing, if needed, shall be determined by the Commercial Arbitration Rules. GNG WILL PAY ALL ARBITRATION FILING FEES AND ARBITRATOR’S COSTS. YOU ARE RESPONSIBLE FOR ALL ADDITIONAL COSTS THAT YOU INCUR IN THE ARBITRATION, INCLUDING, BUT NOT LIMITED TO, ATTORNEY’S FEES (IF YOU CHOOSE TO BE REPRESENTED BY AN ATTORNEY) AND EXPERT WITNESS FEES. YOU SHALL NOT BE REQUIRED TO REIMBURSE GNG FOR THE FILING FEES AND ARBITRATION COSTS PAID BY IT UNLESS THE ARBITRATOR DETERMINES THAT YOUR CLAIM WAS FRIVOLOUS. NOTWITHSTANDING ANYTHING TO THE CONTRARY IN THIS ARBITRATION PROVISION, GNG WILL PAY ALL FEES AND COSTS THAT IT IS REQUIRED BY LAW TO PAY, INCLUDING PAYMENT OF YOUR ATTORNEY’S FEES AND LITIGATION COSTS IF REQUIRED BY APPLICABLE LAW. IN ADDITION, IF THE ARBITRATION AWARD IS GREATER THAN GNG’S LAST SETTLEMENT OFFER OR IF GNG DID NOT MAKE A SETTLEMENT OFFER, GNG WILL PAY TWICE THE AMOUNT OF YOUR ATTORNEY’S FEES, REIMBURSE THE EXPENSES REASONABLY INCURRED BY YOUR ATTORNEY IN PURSUING YOUR CLAIM AND A $7,500 MINIMUM RECOVERY, PROVIDED, HOWEVER, YOU MAY NOT RECOVER DUPLICATIVE AWARDS OF ATTORNEY’S FEES AND EXPENSES. ALTHOUGH UNDER SOME LAWS GNG MAY HAVE THE RIGHT TO AN AWARD OF ATTORNEY’S FEES AND EXPENSES IF IT PREVAILS, GNG AGREES NOT TO SEEK SUCH AN AWARD. You and GNG agree that where the amount at issue is a claim within the jurisdiction of the Magistrate Court and is an individual as opposed to a class claim, you or GNG may elect to seek resolution of the Dispute in the Magistrate Court. You and GNG further agree that any appeal from the Magistrate Court, including a de novo appeal, shall be by binding arbitration pursuant to the provisions of this Section IV. Any such appeal shall be commenced by giving the Notice described in Section IV-4(a). You may also file a complaint with the Georgia Public Service Commission. In addition, if you have a dispute with your Warranty Service provider, including disputes related to Warranty Services, the terms and conditions provided by your Warranty Service provider shall govern any such dispute. This Arbitration Provision shall survive the termination of your gas service with GNG. If you have any questions or inquiries regarding your gas service, your gas account or these T&Cs, please contact GNG at the location or number below. GNG will use good faith efforts to resolve any customer complaints. Warranty Services: see your Warranty Services terms and conditions or contact your Warranty Services provider at 1.888-288-4522. Note: Whenever the Georgia Public Service Commission enacts new rules prior to the publication of revised GNG Terms and Conditions, those rules and GNG’s Disclosure Statement will supersede this statement. Please be aware that some GNG programs, price plans or offers have special terms and conditions specific to those programs, plans or offers. Those special terms and conditions will be provided with the appropriate program, price plan or offer. In addition, from time to time GNG may introduce new price plans or other programs that require amendments to these Terms and Conditions of Service. In such instances, GNG will send you revisions to these T&Cs in advance of their effective date. The revised T&Cs may differ from or supplement this statement and will govern in the event of a conflict with this statement. In some instances, Commercial customers may have written agreements with GNG that provide for specific terms of service. In the event of a conflict with these T&Cs, those specific terms will govern. As required by the Georgia Public Service Commission, Georgia Natural Gas (GNG) provides this Disclosure Statement to consumers when they enroll with GNG and when they request information about the company. The statement also is posted on GNG’s Web site, gng.com/terms-of-service. This statement contains general information about GNG’s gas service price plans and gas services, as well as contact information. Consumers also should review GNG’s Terms and Conditions of Service that accompany this Disclosure Statement. Subject to the right of rescission described below, by initiating service with GNG the consumer agrees to be bound by the terms and conditions as set forth in GNG’s Terms & Conditions of Service and Disclosure Statement, effective February 1, 2019. A consumer shall have a three-day right of rescission following receipt of this disclosure statement at the time of initiating gas service or when informed of a change in terms or conditions. You, the consumer, may cancel in writing or electronically by contacting GNG within the three-day period. The consumer is responsible for paying all charges for gas service received prior to cancellation. For GNG customers who switch price plans, gas service under the new price plan is billed on all bills for each service period that begins during the term of your agreement. Under a variable price plan, gas usage is billed at a price per therm that may change or remain the same monthly. The per therm price may include interstate pipeline capacity costs. Many factors influence retail natural gas pricing, including wholesale gas costs, the weather, market conditions and other factors. GNG sets its prices each month based on the most current available information. GNG cannot predict what its price per therm will be in future months. Note: If you have a fixed price or flat bill plan and it is approaching the expiration date, or whenever we propose to change the terms of service in any type of plan , you will receive written notification from us prior to the expiration date of or change to the plan. We will explain your options to you in this advance notification. The GNG bill contains an AGLC Base Charge, which is a regulated charge from the utility (AGLC) that is billed through each gas marketer. GNG bills a full base charge regardless of the number of days of service. For flat bill plan customers, the AGLC Base Charge is included in your Flat Bill Charge. AGLC maintains and reads customers’ meters and submits to GNG either an actual meter reading or an estimated reading. One of the following meter reading types will be displayed on your bill each month: actual, estimated or no reading. GNG will not send estimated bills except when actual meter readings are not available. In that event, estimated billings will be limited to no more than two consecutive months. If a customer’s account for gas service becomes past due by $30 or more, GNG bills the customer a late charge of 1.5% of the unpaid amount, with a minimum charge of $10. GNG may discontinue gas service to the customer’s premises if payment is not received by the due date on the bill. If a customer establishes new service or reestablishes gas service that has been involuntarily disconnected, GNG will assess the customer a $60 Connection or Reconnection Charge, of which $25 is a pass-through from AGLC. If a customer’s gas service is voluntarily disconnected and reconnected at a single location within a 12-month period, GNG will assess the customer a $50 Connection Charge and a Seasonal Reconnection Charge of $25 for residential customers and $35 for commercial customers, of which $50 and $60 respectively are pass-through charges from AGLC. The Seasonal Reconnection Charge will be waived if the customer is a participant in GNG’s Seasonal Savings Program. If a customer breaches a fixed price or flat bill plan, GNG may assess the customer an early termination charge. A description of charges is contained in Sections I-1 and I-2 of GNG’s Terms and Conditions of Service. GNG offers a budget payment plan on eligible price plans that establishes a budgeted monthly payment based on a customer’s estimated cost of gas service over 12 service periods. Periodically, GNG calculates the difference between the total budgeted amount the customer has paid and the actual charges for that period. GNG then uses this difference, or variance, to calculate the customer’s new monthly payment for the next budget period. Electronically at GNG&apos;s website, or GNG&apos;s mobile payment application, GNG&apos;s Pay By Text, or through your banking institution, if applicable. Automatically via GNG&apos;s bank draft or recurring credit card program. GNG will notify a consumer that gas service will be disconnected for nonpayment at least 15 days prior to the disconnection date. Prior to requesting disconnection of gas service for failure to pay, GNG will offer the consumer at least one reasonable payment arrangement in writing. If an arrangement is made, GNG will provide written details of the arrangement to the consumer. If a consumer defaults on a payment arrangement, GNG reserves the right to deny future payment arrangements. If a consumer qualifies, GNG will accept LIHEAP or other energy assistance funds. Gas service will not be disconnected for nonpayment of a bill that GNG did not send to the customer in a timely manner. If gas service is shut off for nonpayment, a customer will be required to pay all past due gas service charge amounts, a Reconnection Charge of $60, and a service deposit of up to $150 before gas service with GNG is restored. In addition, the customer may be restricted to a price plan with higher gas service charges and the customer’s future eligibility for gas service price plans may be limited. In order to have gas service reconnected, a customer must meet GNG’s credit requirements, and must call for reconnection within 10 days after the disconnection date. After that 10-day period, a customer’s service request will be treated as a new service establishment with GNG. If you are disconnected from gas service and reconnected with a deposit, you will no longer be billed by GNG for Warranty Services. GNG will not prevent a consumer from obtaining distribution and commodity sales service from another marketer or provider. GNG will not charge a cancellation fee if the consumer is a low-income residential customer who notifies GNG that he or she is switching in order to seek service for the first time from the regulated provider. Please contact GNG to avoid the cancellation charge or have it waived. To register a complaint regarding GNG, a customer should first contact GNG by mail at the GNG correspondence address below; by phone at the GNG Customer Care Center numbers listed below; by fax at 877-281-5775; by e-mail at customerservice@gng.com; or online at gng.com. If a consumer is unable to resolve the issue to his or her satisfaction, the consumer also may contact the Georgia Public Service Commission at the numbers listed below. Also see Section IV of the Terms and Conditions of Service regarding Binding Arbitration of disputes. If you have a complaint regarding Warranty Services, please contact your Warranty Service provider. Georgia Home Solutions has changed its name to Pivotal Home Solutions.